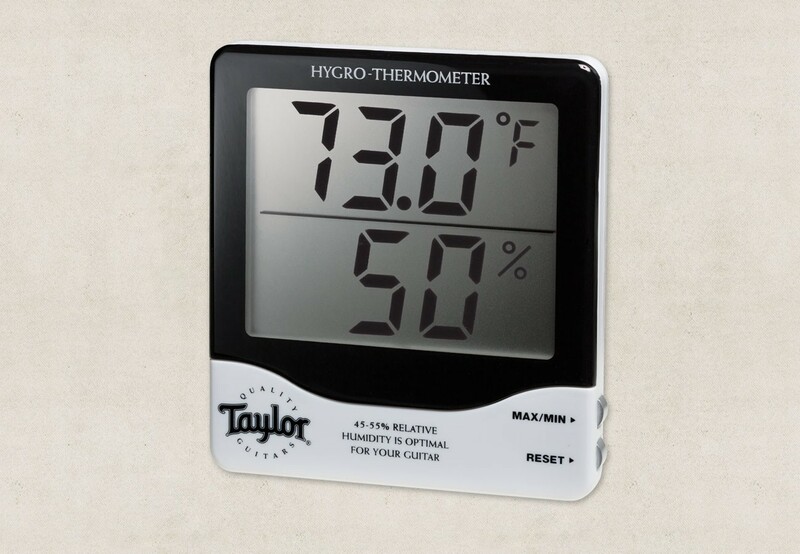 Monitor the relative humidity in your home, office or wherever you store your guitar to protect it against the adverse effects of high or low levels. 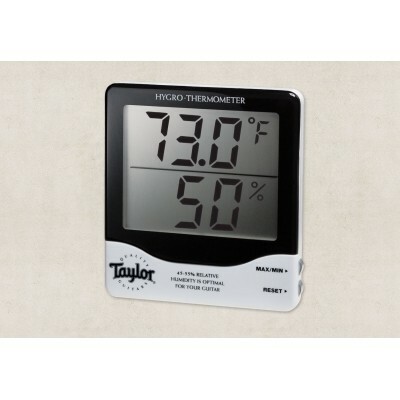 Easy-to-read display shows temperature and humidity simultaneously. Use freestanding on a flat surface or easily mount on a wall. Comes with built-in tilt stand, wall mounting bracket and 1.5V AAA battery. One button display of MIN/MAX readings. Switchable between C or F. RH range: 10 to 99% (accuracy: +/- 5%). Temperature range: 14 to 140 degrees F (-10 to 60 C). Note: 45-55% relative humidity is optimal for your guitar. To maintain proper levels, you may need to use a guitar humidifier.